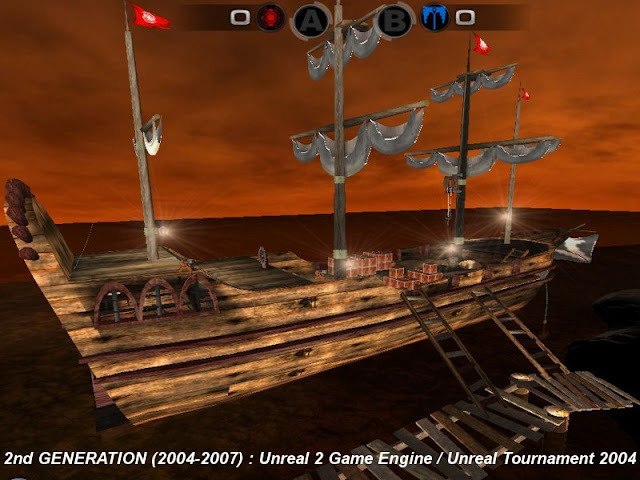 On June 04, 2007 Media Grid launches the Immersive Education initiative with an open call to educators, students, and professionals who have experience using virtual learning environments or video game technologies (such as Second Life, Croquet, Extensible 3D [X3D], Panda3D, Quake, Unreal, Torque Game Engine, and so forth). Immersive Education is an award-winning learning platform that combines interactive 3D graphics, commercial game and simulation technology, virtual reality, voice chat (Voice over IP/VoIP), webcams and rich digital media with collaborative online course environments and classrooms. Immersive Education gives participants a sense of "being there" even when attending a class or training session in person isn't possible, practical, or desirable, which in turn provides educators and students with the ability to connect and communicate in a way that greatly enhances the learning experience. Originally available only to university students, the next generation of Immersive Education is focused on a broad spectrum of academic and non-academic users (higher education, K-12 [kindergarten through high school], and corporate training). Unlike traditional computer-based learning systems, Immersive Education is designed to immerse and engage students in the same way that today's best video games grab and keep the attention of players. Immersive Education supports self-directed learning as well as collaborative group-based learning environments that can be delivered over the Internet or using fixed-media such as CD-ROM and DVD. Since 2004 students at Boston College have had the opportunity to participate in courses conducted entirely within Immersive Education, which has the potential to fundamentally reshape education by providing on-demand learning and simulation technology that can engage and instruct at a level far beyond that of the typical in-person or online course. Following an award-winning 2 year pilot, ( by Boston College in cooperation with the Grid Institute, Media Grid, Burke Institute for Innovation in Education, Media Machines, City of Boston, Sun Microsystems and other organizations), Immersive Education is now being made available as a community resource for the benefit of educators, students, and researchers. 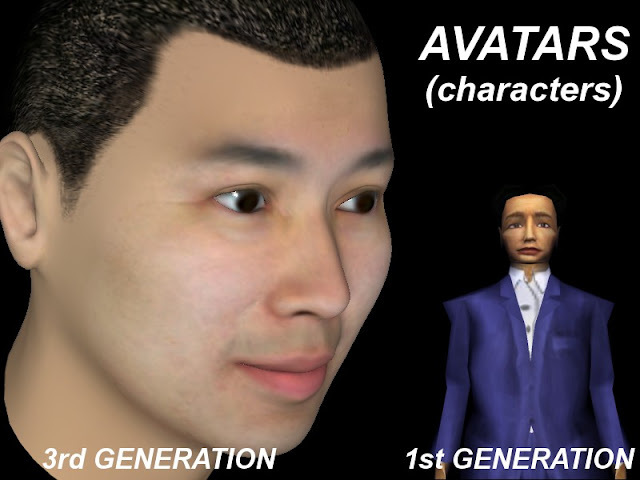 The first generation of Immersive Education supported relatively low quality avatars (right), whereas the next generation supports high quality avatars (left) that are realistic and lifelike by comparison. Imagine, for instance, a history class that lets students explore the halls of the Forbidden City in Beijing from home, or a lecture on nanotechnology that includes a lab session for participants to examine and manipulate molecular structures entirely online. 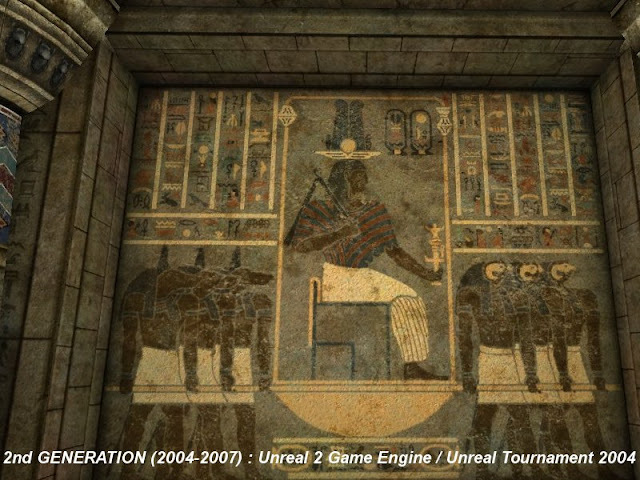 These types of activities would be too costly and impractical to undertake in the physical world, but thanks to advanced 3D simulation technology and the Media Grid, can be created and distributed to students over the public Internet. Immersive Education gives students a sense of "being there" even when attending class in person isn't possible, practical, or desirable, which in turn provides faculty and remote students with the ability to connect and communicate in a way that greatly enhances the distance learning experience. During the 2008 Boston Digital Media Summit held early January 2008, the Immersive Education Initiative announced the Education Grid and corresponding Platform Ecosystem. Based upon open source technologies and open standards, the Education Grid and Platform Ecosystem will provide educators with a comprehensive end-to-end infrastructure for a new generation of virtual world learning environments, interactive learning games, and simulations. 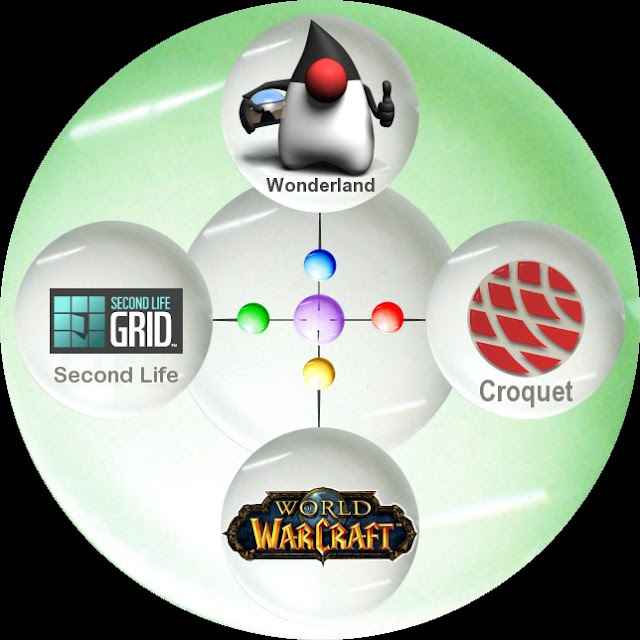 The first three platforms in the ecosystem were introduced at the Summit: Second Life, Sun Microsystems Laboratory's Project Wonderland, and Croquet. These platforms will be enhanced to utilize the server-side Education Grid that will deliver a rich library of learning objects, digital media assets, learning games and services from which a wide variety of Immersive Education experiences can be assembled. In three to five years, Media Grid hopes to have established a cross-platform, immersive virtual world for education. "The future is not a single platform. Multiple platforms can provide similar experiences, consistent from platform to platform," said director of the Media Grid and the Immersive Education Initiative Aaron Walsh. Walsh pointed to Second Life, Croquet, and Sun Microsystems Wonderland as education platforms that meet the initiative open source requirements that allow development without licensing fees. Walsh wants to plug them all in to the Education Grid where information and pre-constructed environments would be tagged with metadata to allow educators quick and easy access to virtual worlds instruction. The main goal, it seems, is to create standards across the participating platforms allowing students to work across them all instead of having to leave one environment for another based on differing needs.